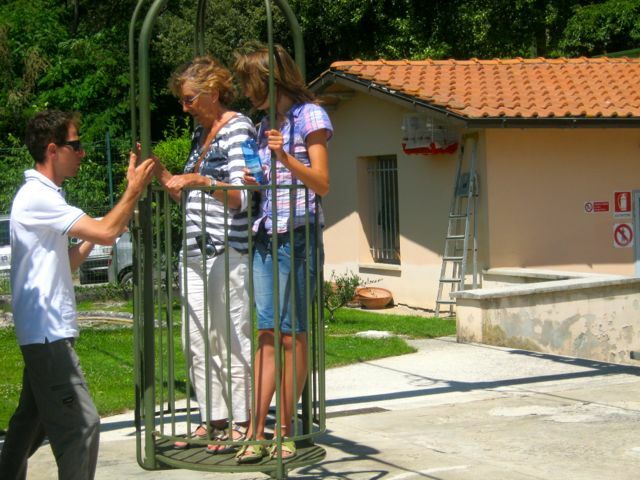 Children’s activities in Tuscany and Umbria (and some in Emilia Romagna, Le Marche and Lazio), many within easy driving of our rental villas, some a little further. 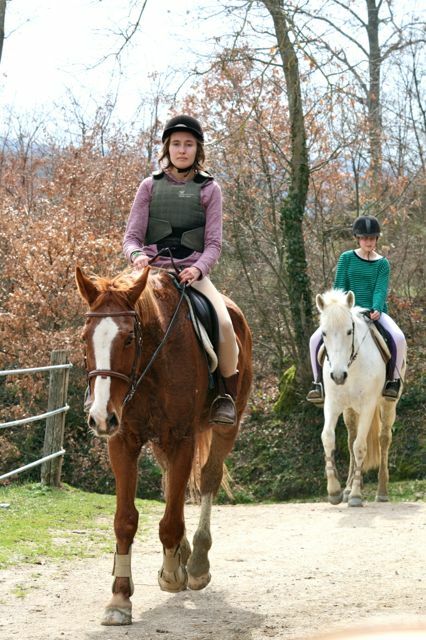 There are several places to go horse riding on the Tuscany Umbria border near our holiday rental villas. There are also stables at Fattoria Caldese near Lerchi just to the north of Citta di Castello, where there is also a golf driving range, a 9 hole course and a spa. 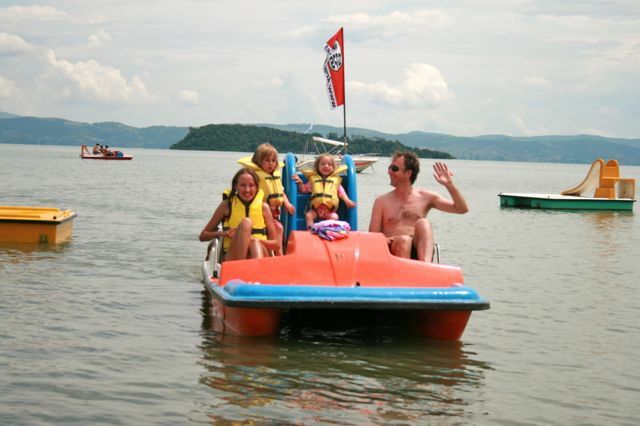 Lake Trasimeno has several beaches, from most of our villas the beach at Tuoro is most convenient. It is best to do things the Italian way and hire sun loungers, get a pedalo (preferably with slide) for a bit of excitement. There are also trampolines and children’s playground equipment. This requires a little planning in order to catch the right ferry, for a restaurant lunch and a quick stroll go to Isola Maggiore from Passignano or Tuoro. For a picnic and beaches go to Isola Polvese from San Feliciano. Check ferry times online. 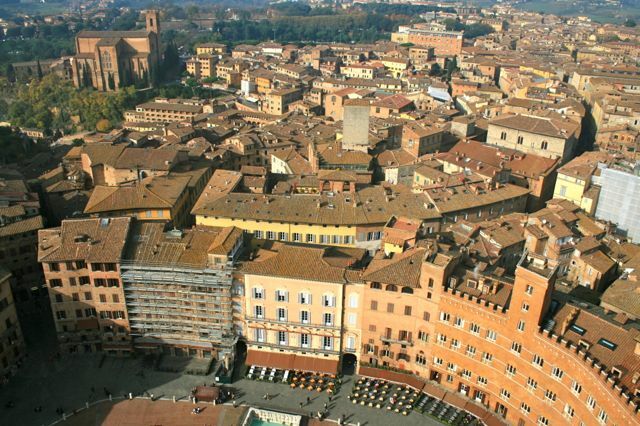 Perugia has a beautiful hill top city centre, a fun way to get there is to use the Mini Metro monorail system (exit the dual carriageway at Madonna Alta to find the first station). In the city centre don’t miss the Underground City, houses that had their roofs removed and a papal fortress built on top. The fortress, the Rocca Paolina no longer exists but the walls of the houses are still there with huge brick barrel vaults constructed where the roofs used to be. 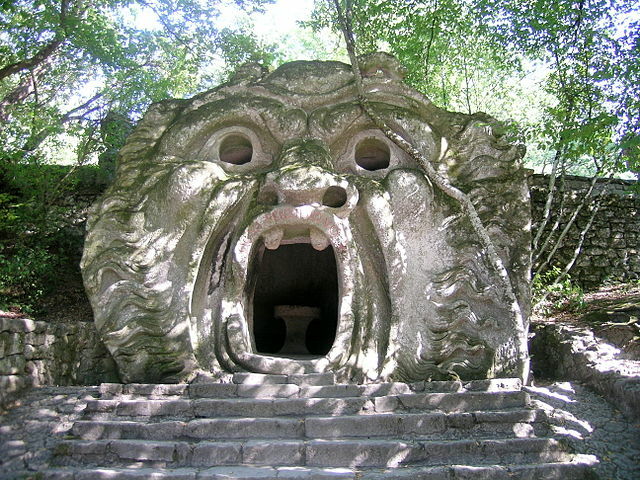 The Chianti sculpture park is a woodland trail with contemporary sculptures along the way, many of them interactive and great fun for kids who get the chance to run around in the open air with interesting encounters along the way. The Perugina chocolate factory which makes the famous “Baci” chocolates offers tours of its museum with a visit to the factory Monday to Friday – book in advance. It includes a tasting of their most popular chocolates and is inexpensive. The tour takes about one hour, the factory is located in the outskirts of Perugia. In the summer the queues can be extremely long as only a few people are allowed up at any time. If this is the case go to the Museo dell’Opera del Duomo, you can climb the unfinished extension to the Duomo and enjoy the views minus the crowds. 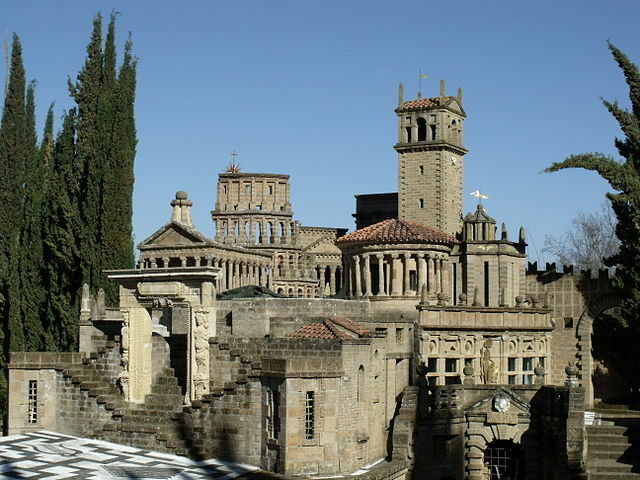 Take the cable ride “funivia” up Monte Ingino, at the top, enjoy the view and kids will be fascinated by the corpse of Sant’Ubaldo in a glass coffin in the church. Back in the town there is lots to do: walk three times around the Fontana dei Matti and become an honourary citizen of Gubbio, visit the enormous medieval town hall and head up to the Duomo where more blackened corpses await in their glass coffins. Ride the funicular railway up from the railway station at Orvieto Scalo. 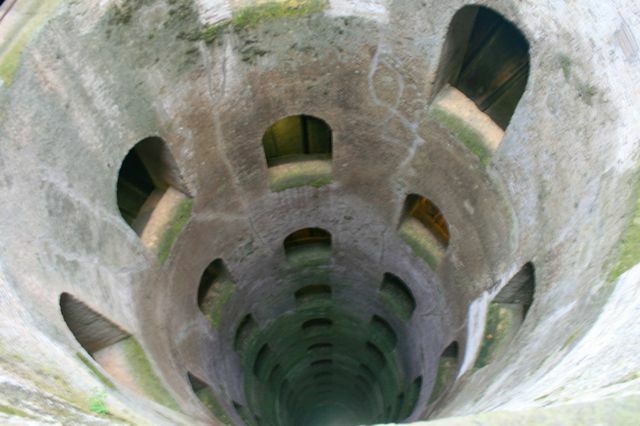 Visit the Pozzo di San Patrizio and climb the Torre del Moro. Finally, even children will enjoy looking at Luca Signorelli’s frescoes in the Duomo, they depict scenes from the Book of Revelations showing skeletons rising from the ground and demons torturing and carrying away the damned. 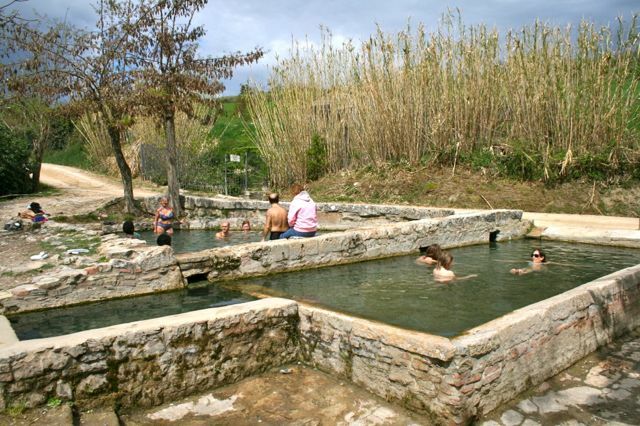 There are several thermal baths in Tuscany, the nearest to our area are Rapolano Terme and San Casciano dei Bagni (free). On a hot day the pools below Bagno Vignoni are good as they are not particularly warm. In Umbria there is a spa (indoor) near Città di Castello called Terme Fontecchio. In case you haven’t spent enough time at your Tuscan villa’s pool, the public pool in Umbertide has a giant water slide, usually only available after late morning. It’s a great place to spend a whole day, especially in the middle of the week. Might also be fun for older teenagers who can check out the local talent. 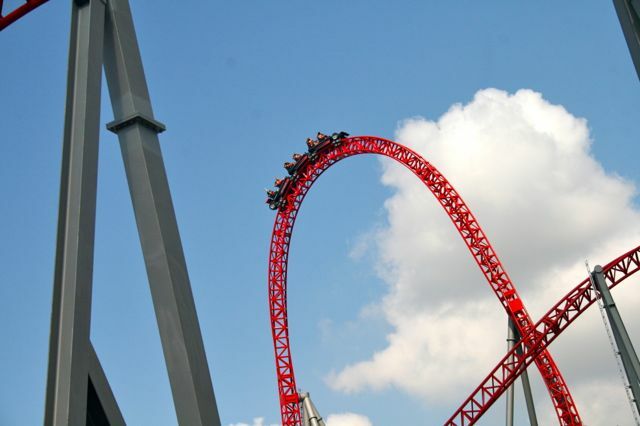 A proper amusement park with world class roller-coasters and rides that equal those of anywhere else. Unlike amusement parks in northern Europe it’s actually fun to go on the water rides in the summer heat. Follow the E45 across the Appenines towards Ravenna on the Adriatic coast. The whole route is 60km, part road, part track so for older children and teenagers. With younger children you can do part of the Percorso Ciclibi Trasimeno which is on tracks only. Scooter hire for older teenagers and adults is also available, look up Umbria In Vespa for scooter hire. 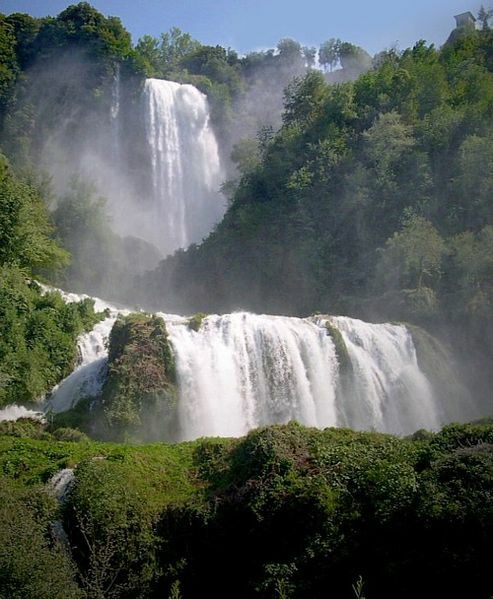 Waterfalls near Terni in southern Umbria with a total height of 165 metres. The Cascata delle Marmore were created by the Romans when they diverted the Velino River over a cliff into the River Nera. Today, the water is diverted to a hydroelectric plant much of the time so check the official website for visiting times. 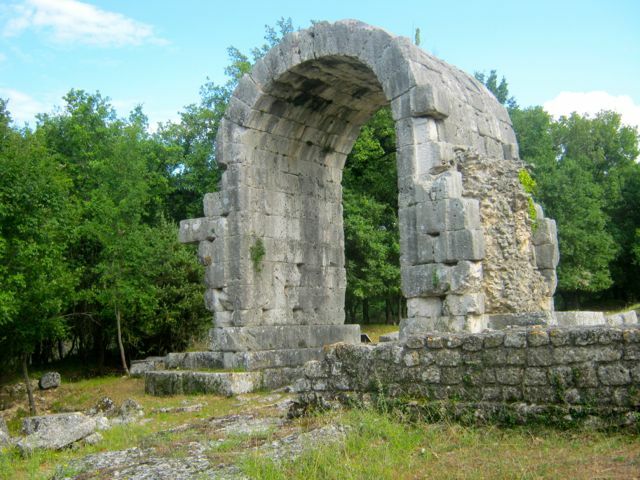 Monte Tezio is a fairly short walk with amazing views and the remains of an ice storage facility at the top. 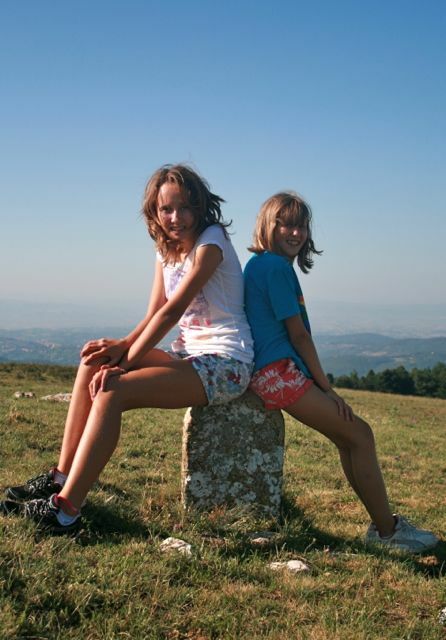 Alternatively, the Short Etruscan Tomb Walk or the Leaning Tower of Vernazzano are relatively easy and have interesting focal points to keep children interested. All walks are in my book, Circular Walks On The Tuscany Umbria Border, available for the Kindle. From many of our villas in the Niccone Valley it’s easy to get to the train stations at Niccone or Umbertide. 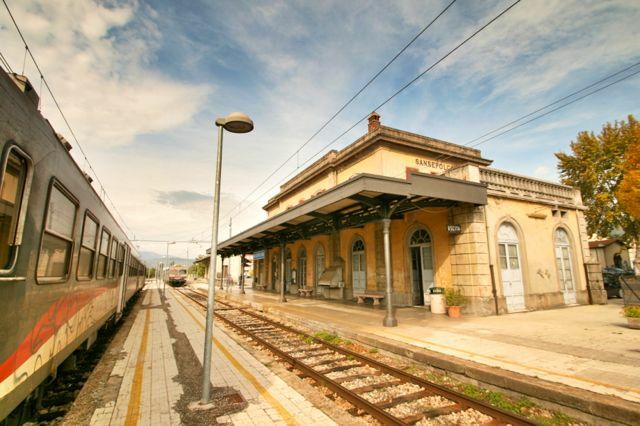 From here you can go on the small, slow local train on a private railway to Perugia or head north to Citta di Castello and the end of the line at Sansepolcro. I’ve never been here but friends recommend this indoor activity centre, useful to keep in mind if there is bad weather.. Has soft play, climbing wall, etc. 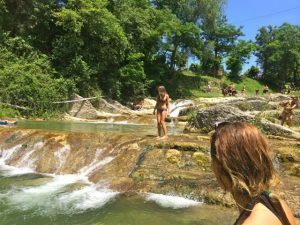 An outdoor activity park near Spoleto, I’ve not been but it has obstacle courses involving zip lines and rope bridges at different levels of difficulty as well as a water slide with inflatable tubes. Segway hire also available. The little known ruins of a once thriving Roman town located near San Gemini between Todi and Terni. There is lots of space for kids to run around in and plenty of interesting things to look at. Take a picnic and combine with a visit to the Cascata dei Marmore. A garden full of whacky Mannerist sculptures from the 16thC depicting monsters, leaning houses, giants and other fantastical things to fire the imagination. Located just over the border from Umbria in the region of Lazio, it is close to the A1 motorway, take the Attigliano exit. I have always wanted to go here but telephone booking is required and the phone often not answered! 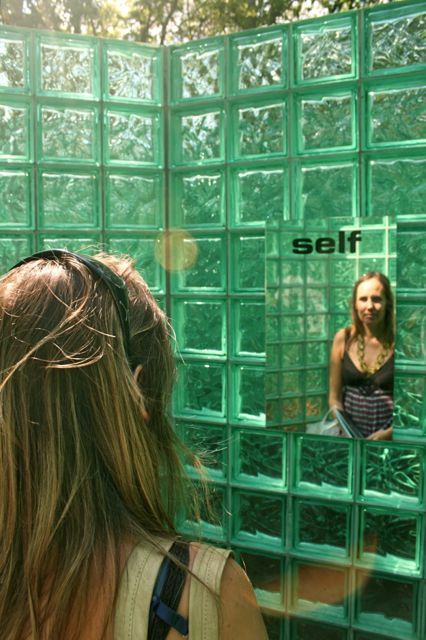 People who have been rave about it, it’s a collection of strange architectural sculptures in a garden setting, you need to book because the tours are always accompanied by a guide and a minimum of ten people are needed. Located near Montegabbione, south of Lake Trasimeno and Città della Pieve. Open only between June to late August a water park with four pools and several slides and flumes. There is a grassy area with sun-loungers and umbrellas for hire. It is located south of Lake Trasimeno about 1 hour’s drive from most of our houses. 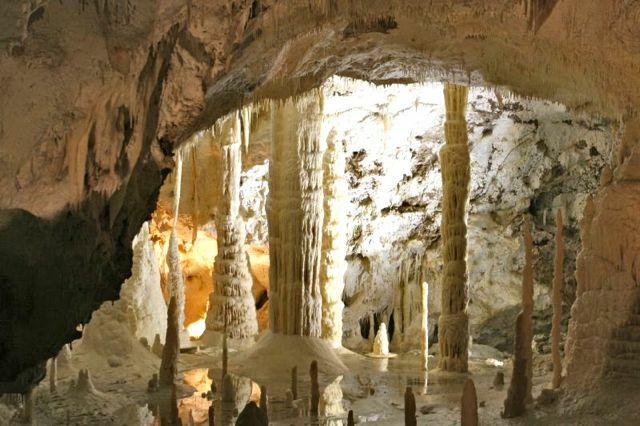 Located near the town of Fabriano in Le Marche, these impressive caves are around an hour’s drive from most of our holiday villas. Head towards Ancona and once past Fabriano you’ll pick up the signs. 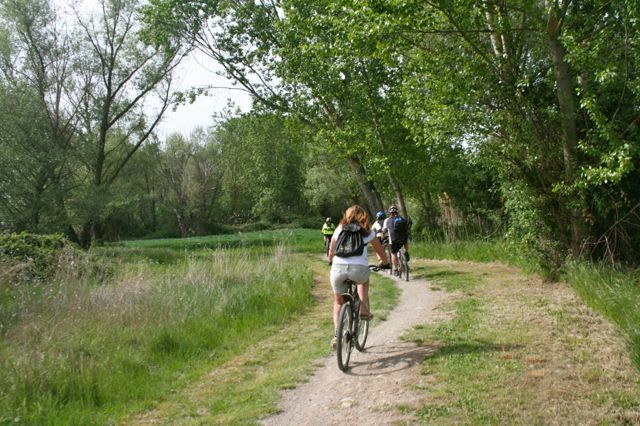 The Saltalbero Parco Avventura is located near the thermal baths at Rapolano Terme, between Lake Trasimeno and Siena. 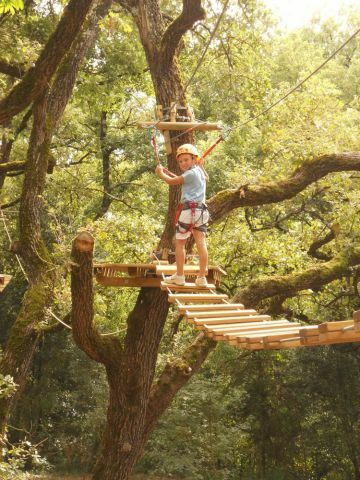 It has a series of different obstacle courses for children (and adults) of all ages. 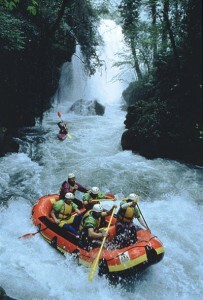 Hire a Canadian Canoe at Citta di Castello Canoe Club (€25 all day hire in 2013). 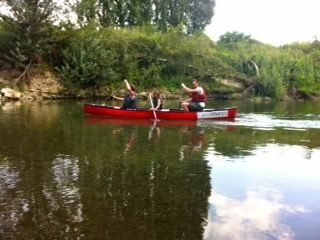 A great family day out on the River Tiber – it’s best to head upstream at the start of the day. Swim in the large rock pools below the waterfalls and enjoy a picnic of Torta al Testo from the local bar. There is also a large playground if this isn’t enough to keep you amused.